Be prepared to be in a battle ground full of tanks inside full virtual reality. Imagine having a VR version of Rocket League, this is it. Play it now. Strap yourself in to the cockpit and take control of the Cobra – the most powerful vehicle ever built – and experience the future of virtual reality in this explosive first person VR reboot of Atari’s seminal Battlezone, the first VR game ever made! 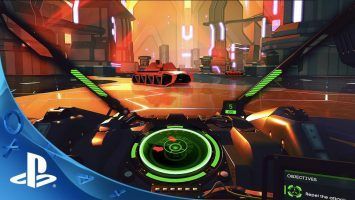 Command the most powerful vehicle in the galaxy and obliterate legions of mechanized forces across huge sci-fi environments in an effort to the save the neon-drenched wastelands of a far-future Earth. 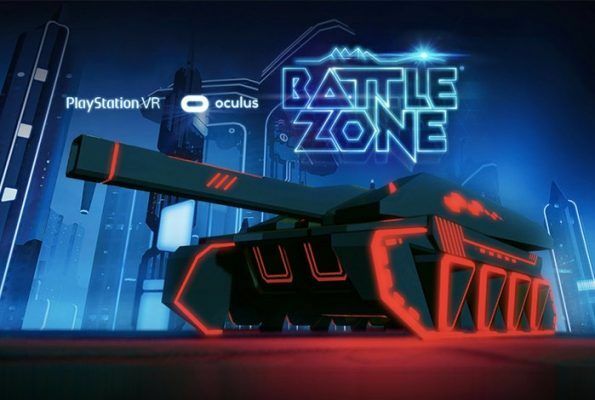 Built from the ground up for PlayStation VR, Battlezone offers unrivalled battlefield awareness, a monumental sense of scale and breathless combat intensity. Get inside your cockpit and defeat the other team. Ready, set, shoot!